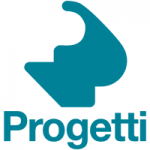 Progetti is a dynamic and vital company based in Carate Brianza (MB) for over 30 years thinking, researching and creating furniture complements and home and office objects. Design cared for down to the smallest details, high quality, form and function innovation are the basis of all its products, cuckoo wall clocks included. The company, among the first in Italy to carry out this type of watches and modern cuckoo clocks that combine originality and functionality. The research of the highest quality, from the choice of materials to the processing, the contemporary and unexpected design, semi artisan production techniques, coupled with extensive industry experience and respect for the environment, have led Progetti to achieve international notoriety allowing to appear in many areas of the world.